Jordan (in red) during fieldwork in Chile. Jordan Tam is a fourth year PhD Candidate at the Institute for Resources, Environment and Sustainability with a background in psychology. His broad interest is in untangling the interactions between ecosystems and social systems to understand how to best manage marine resources. 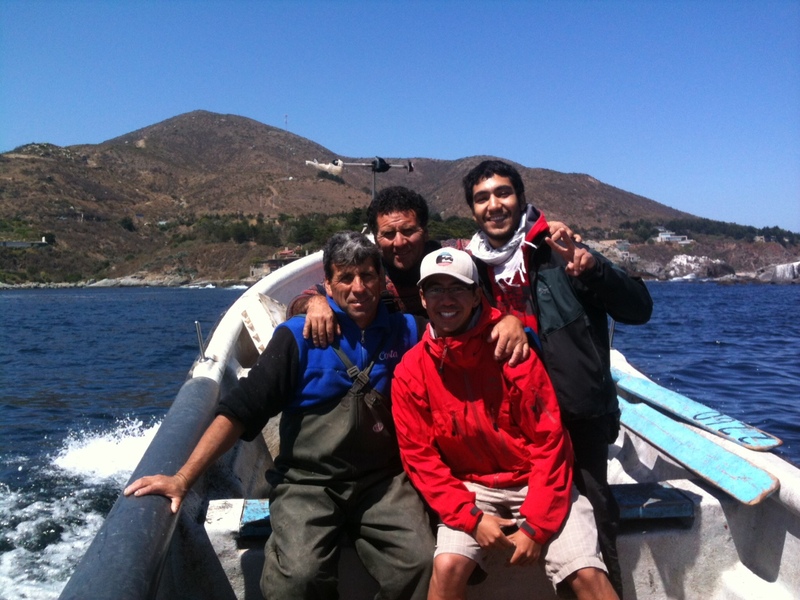 Specifically he researches the processes of institutional and behavioural adaptation in Chilean small-scale artisanal fisheries to change, and their implications for ecological and human communities. In some of his past work he has examined the cognitive and affective constraints to adaptation to climate change in biodiversity conservation. Specifically he studied people’s perceptions of conservation policy and explored how environmental beliefs, emotion, and perceptions of risk affected people’s willingness to endorse (sometimes controversial) adaptation strategies in a protected area contexts. Other areas of research in which he is or has engaged in include: Climate change risk perception, mitigation and adaptation behaviours in Costa Rica; defining and valuing cultural ecosystem services; the integration of social considerations into conservation planning; and the interface between science and policy. Furthermore, he is deeply interested in the perpetuation and origins of consumer culture and materialism, as well as the feedbacks between policy and cognition for ecological sustainability. He is a SSHRC CGS Doctoral holder, BRITE Fellow and Liu Scholar. His research has also been supported by a Four-Year Fellowship from UBC and a SSHRC CGS-M award.